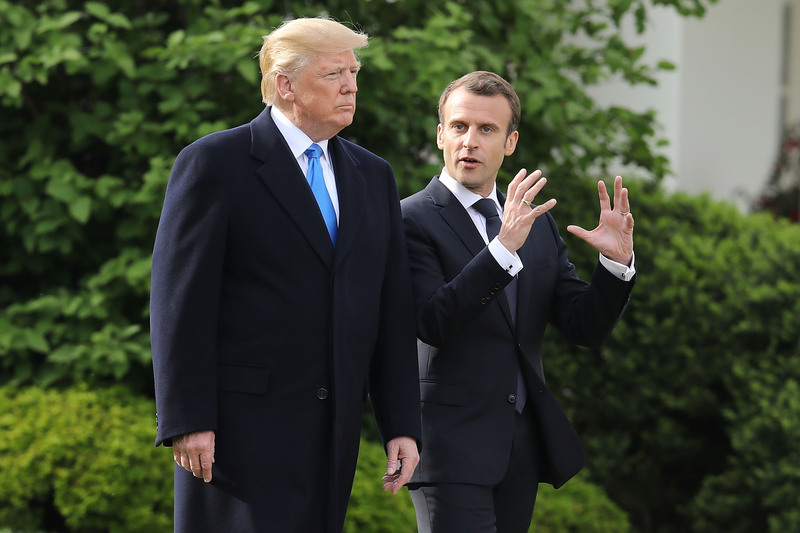 President Donald Trump secured a commitment from French President Emmanuel Macron Monday to increase the country’s NATO defense spending by more than a third. Trump hosted Macron in Washington, DC Monday, after which the White House announced France’s commitment to meet NATO’s two percent GDP defense spending minimum, an increase of 35 percent. The White House also highlighted France’s cooperation in condemning Syrian President Bashar al-Assad’s use of chemical weapons on his own people. The US, United Kingdom and France all took part in airstrikes launched on military and electrical infrastructure targets in Syria on April 13. Trump has long criticized the United States’ allies for failing to meet NATO spending commitments. His rhetoric led Secretary General Jens Stoltenberg to raise defense spending for NATO members by 4.3 percent in 2017. Macron and his wife, Brigitte, will stay in Washington through Wednesday morning and will be the guests at a White House state dinner Tuesday evening, the first since Trump took office.